In his late work series Peter Zimmermann generates images by transferring digital patterns onto the canvas brushstroke by brushstroke. The making of his large-size epoxy resin works follows the same principle, whether it‘s on the floor or on a material like Forex®: He projects the computer simulation onto the respective medium emulating the image layer by layer. The epoxy resin‘s glazing property allows the individual layers to shimmer through. Zimmermann expands his repertoire, for the first time he shows an animated piece of video art he had created for the Oktogon. The clip illustrates the production process all his works undergo. Additionally, he‘ s going to make works from stickers: A long frieze that looks like a 3-D wall object, an effect created through the monochrome nature of the rectangular stickers, will run through the entire exhibition. This grand retrospective will occupy a total of eleven gallery spaces, showing a vast spectrum that covers artworks of all sorts of media, however, every single object occupies its unique spot in the overall conception. Peter Zimmermanns devises his works over and over again, always adapting them to the on-site conditions. Her works examine the significance of the location and explore ways of being activated by the observer. Her painting goes far beyond the limitations of the canvas. She cuts it open and tears out pieces here and there, rearranging them and putting the linear sequence of her pictorial elements to question. Orderly. Colorful. Abstract.The exhibition Konstruktiv Konkret comprises eleven Constructivist paper works from the Collection Lütze. The art movement formed in the first half of the 20th century and is predominantly characterized by representations of clear, geometrical and non-representational forms. 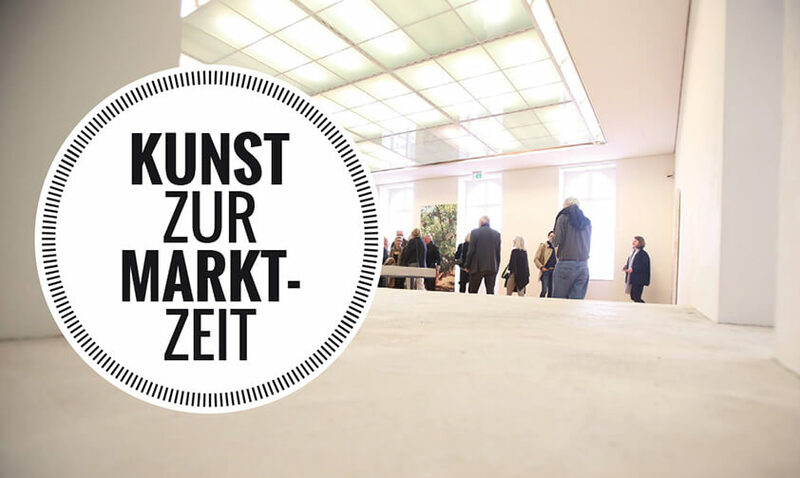 The artists Anna Schütten and Peter Zimmermann will be present! Saturday, 13th of April, 11 a.m. 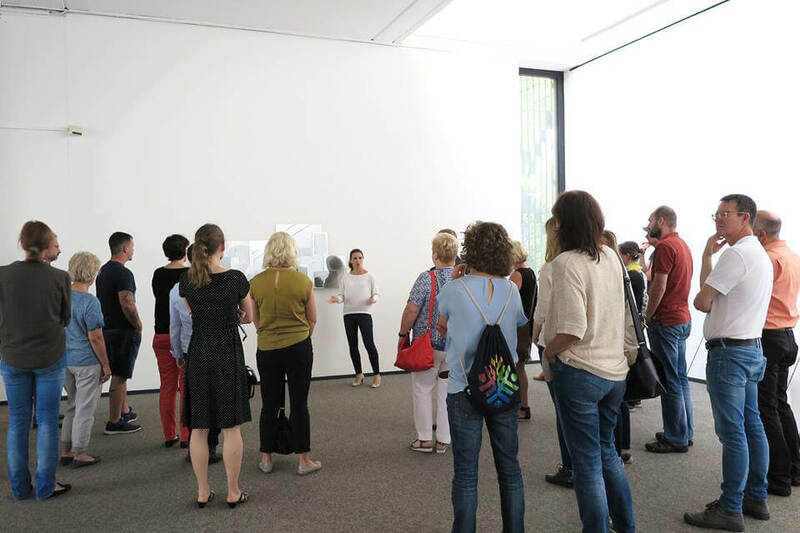 The curator and director of Galerie Stadt Sindelfingen Madeleine Frey will offer a guided tour through the exhibition paint it by Peter Zimmermann. Welcome drink from 10:45 a.m. The guided tour starts at 11:00 a.m., duration ca. 45 min. 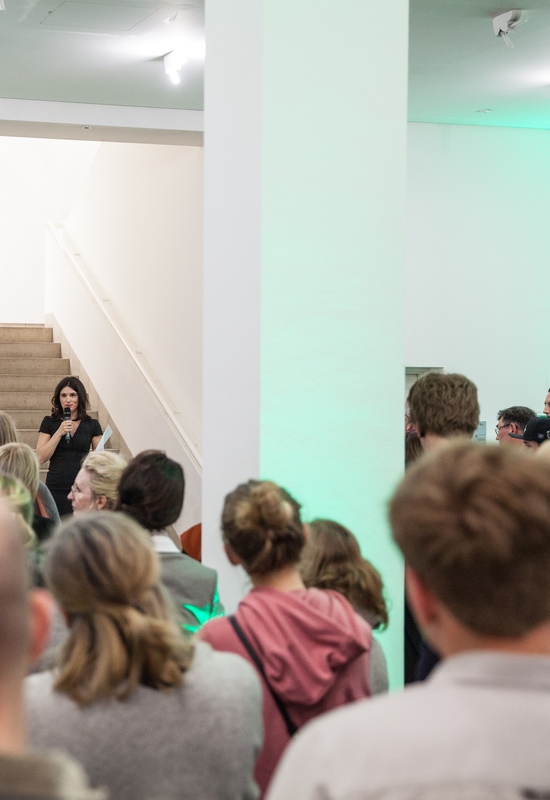 The curator and director of Galerie Stadt Sindelfingen Madeleine Frey will offer a guided tour through the large solo exhibition paint it by Peter Zimmermann and Go by Anna Schütten at the SCHAUFENSTER JUNGE KUNST. In the octagon, there will be a dance performance performed by Pascal Sangl. Each at 2 pm, 3 pm and 4 pm. The entrance fee and the guided tour incl. the performance are free of charge! Children are welcome! Saturday, 25th of May, 11 a.m. The co-curator Sebastian Schmitt will offer a guided tour through the exhibition paint it by Peter Zimmermann. Complement your visit with one of our guided tours. Free guided tours, curator and special tours you can find in our programme. Individual guided tours for groups (10 people +) can be booked here: 07031-94392.